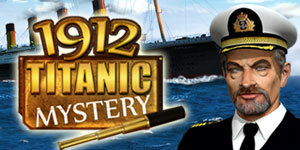 Get ready to sail the marvelous Titanic II and find a bomb! 1912: Titanic Mystery was available as a giveaway on April 14, 2018! 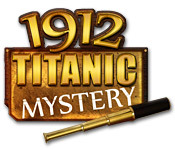 How would you improve 1912: Titanic Mystery? That was a good game, really long with nice story. Well done. nice game! Sorry things are not better for you. Prayers! Hi! The game is fairly easy. Took a little time to download and opened easily. There is a ull in the pointer and would prefer having the option to use my system cursor. There are about 4 steps to each section, which is similar iin each place. The hog and puzzles parts so far have been easy, but I played in relaxed mode. The graphics are good, but would like more pizzazz to a game, though it is a pleasant easy game. Thank you for another nice game! Sorry things are not better for you. Prayers! Nice game, however, I have no cursor and have to use my touch screen to play. It would be much better to be able to use the cursor. My heart is with you and your father and family, continue caring for them, I hope to see all of you in better conditions. Whiterabbit, my dear friend, My heart is with you and your father and family, continue caring for them, I hope to see all of you in better conditions. Wish you all the best. I disabled the Webroot Secure Anywhere anti virus to do the installation. Enabled anti virus once installation was complete. Fired up the game and if I recall correctly, the program called game.exe was removed. Disappointed I couldn't play this one. I enjoyed this nice little HOG. Yes, it is kind of easy. But I was in the mood for simple, not eye-watering intensity. I've come to hate those games that make you travel back and forth all over the place. This one isn't like that. Thanks for letting me download it. Game would not install in two computers. There was an error in one of the files, when you ignore the error it looks like it installs, but will not run. 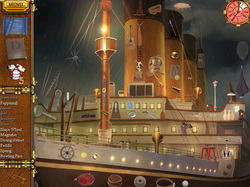 I found this an enjoyable hidden object game. The graphics are nice, it's relatively easy play (for those days I don't feel like doing a LOT of heavy searching) and the music is OK. I installed this on two different computers. The one running Windows 7 runs perfectly, with the graphics as they should be. However, the one running Windows 10 has a problem with the graphics in the scenes. The "graph paper" lines show up in the picture, making it appear as if they took 16 different squares of the main picture and never got them quite connected correctly. Annoying to say the least, but the game is still playable. Thanks for another free game. I will keep it on both computers. 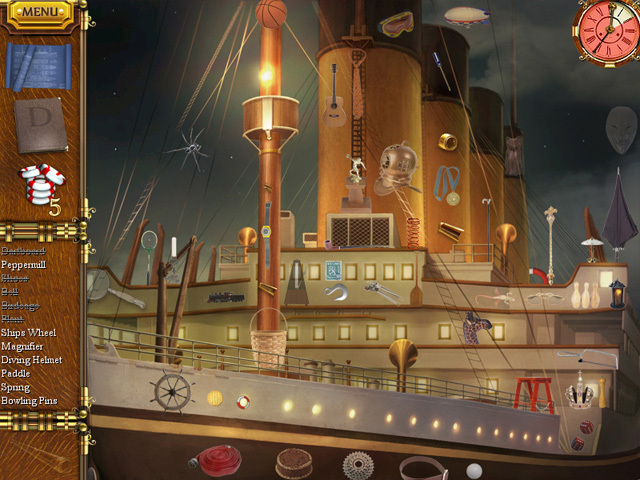 I found this an enjoyable hidden object game. The graphics are nice, it's relatively easy play (for those days I don't feel like doing a LOT of heavy searching) and the music is OK. I installed this on two different computers. The one running Windows 7 runs perfectly, with the graphics as they should be. However, the one running Windows 10 has a problem with the graphics in the scenes. The "graph paper" lines show up in the picture, making it appear as if they took 16 different squares of the main picture and never got them quite connected correctly. Annoying to say the least, but the game is still playable. Thanks for another free game. I will keep it on both computers. Stephen: Keep up your support of your father, all here are continually wishing you (and him, of course) all the best. As mentioned, this has been given away previously. My notes say "too easy, silly story"
For whatever reason, I can't use my mouse on this game. You can't see the cursor. Fortunately I have a touch screen. Usually, you have a choice of using either the game cursor, or your system's. Windows Pro 10 ver 1709. Had trouble starting the game. It would appear to start but then would disappear. I went to MyPlayCity and downloaded it from there (it's free) and it all worked. Something GameGiveaway adds makes some of the games not work. This is another repeat here (sigh), but I do remember enjoying this when I first played it from here, so wanted to post that, despite it being a fairly unchallenging entry in this genre, it was definitely worth playing for free! I agree with the review that said the objects were sort of out of context, but I find that with MANY of these HOGs and so don't think too deeply about that. I considered installing this one again and playing through this time in timed mode (I usually choose casual) to add to the challenge, but with taxes due here in the US after this weekend, I don't want to be tempted to play instead of work on them :). Give this one a shot if you missed it first time around; just don't expect the most challenging time. neme, I'm not finding any record of this game being given away previously... When was it? Trying 2 b Helpful, probably last year or the year before. Definitely played this before from here; been on here so long...One of the good things about getting older (and having been on here so long) is that once in a while I forget I played something before and just play it again :). But this one, I remembered, as do a few other who've posted. I'm still out all weekend this weekend as well. Family issues still ongoing so will not be around for most of the weekend. At this point in time I don't know how long it's going to be before I can resume my usual reviews and moderation. Things have worsened so I need to be around my family for as much as possible. Unfortunately my father does not have internet access, so it will be impossible for me to even moderate while away from home. The story of the Titanic is an infamous tale of tragedy, loss, and the unthinkable. In 1912 Titanic Mystery, the birth of the Titanic II 100 years after the sinking of the legendary leviathan brings promise of reconciliation by completing the vessel’s original maiden voyage. However, not all is as it seems when threat of a bomb surfaces. It’s up to you to stop it in this hidden object game from Suricate Software. The Titanic II is a vessel based directly off the original, only updated with modern technology. At the beginning of the story you’ll be introduced to six members of the crew. With very little known except that you’re a descendant of one of the original passengers, the story soon unfolds into something much more dramatic when one of the six crew members, identity unknown, informs you there’s a bomb on board. In order to have any chance of preventing the sinking of the Titantic II, you must find and follow the clues left by the mystery bomber and eventually try to find and deactivate the bomb. 1912 Titanic Mystery is a hidden object title with a winning way of storytelling. 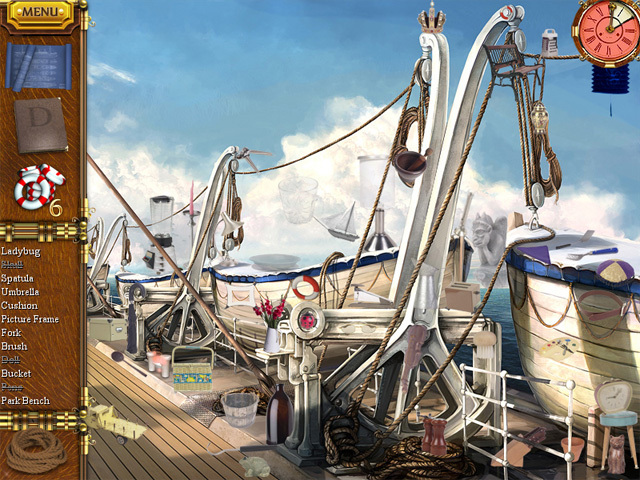 The levels are similar in nature: you will visit a particular area of the Titanic II, finding 10 specific objects, such as 10 suitcases. You will then need to find 10 randomized objects, finally piecing together a key item, which can be used to access the final puzzle of each area, and then solve it. There are 25 unique puzzles and 25 unique areas in the title, with each being revisited several times. A major part of the game is to collect a series of diary entries, which further delve into the storyline and the circumstances of the bomb being placed on board. The gameplay itself is nothing profound: you will often be finding the same objects over and over again, and the objects themselves are mindlessly scattered about: a bit strange for a brand new vessel with a very rich reputation of luxury and style. Objects often don’t make sense in their environment, and are resized to disproportionate sizes, leaving the gameplay pretty easy, as well as quite quirky. The puzzles are an improvement, though. Only half of them are terribly easy, and they boast a healthy variety from matching card games to matchstick puzzles and quantity balancing. While there are no hints available for the puzzles, they can all be skipped after waiting for a short time, usually in under a minute from starting. There is a penalty of 10 minutes, however, for each puzzle skipped. Gameplay can be timed or relaxed, and puzzles can be replayed from the main menu area. Speaking of hints, the hint system comes in the form of life-savers, which can be collected and used as hints. You can only hold six at a time, but each area has two you can pick up and add to your inventory if you’re a bit low. 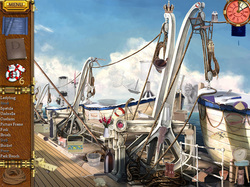 Throughout the course of the game, you will be visited by the six crew members from the beginning, who will share fascinating facts about the original Titanic with you. It’s a nice way of learning more about the original cruise liner without being invasive. The game itself does a masterful job of storytelling, though, with the game growing more intense as you progress through each area. Instead of it being told live, you’ll be reading it as you collect diary entries from a woman on board the original Titanic during the maiden voyage. The story is anything but shallow, and soon grows into a very personal and enthralling account of the simple life, the past, love, and survival. But the entries aren’t just a nice touch of storytelling and involvement: they tie directly into the present and the situation with the bomb. Overall, 1912 Titanic Mystery is a game with average gameplay, but an interesting story that helps to make the experience a little more interesting. Edited reference accessed HERE. Originally posted by Tawny Mueller on Nov 3, 2009. Re-posted by Whiterabbit-uk 14th March 2018. 1912 Titanic Mystery has an involving story and contains interesting facts about the Titanic. 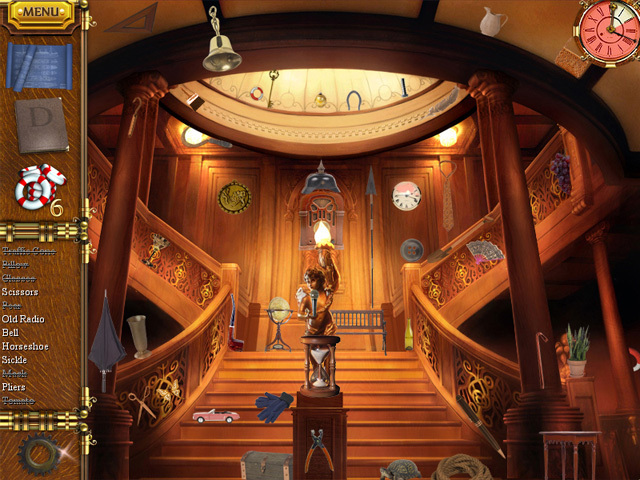 It includes a reasonable variety of puzzles, though it’s a little confusing around the hidden objects. Objects often repeat with areas and game play get somewhat repetitive.